Got your freakout caps on? Good. 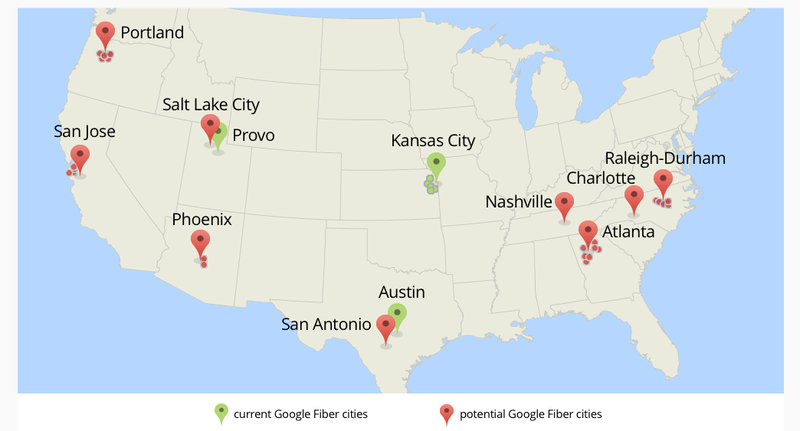 Google announced today that they are exploring plans to bring its Internet and TV service, Google Fiber, to nine new cities in the US. Within each metropolitan area, there are different markets, which brings the possible number of future Fiber markets to 34. Google is currently in talks with all of the cities to see what it will take to bring the service to them. Here is the full list of cities that Google is exploring. I don’t want to get to toot my own city’s horn, but the Portland/Beaverton/Hillsboro area would be a very good choice for Google Fiber. I mean, we have Intel, Nike, NVIDIA offices, and a ton of other great companies who might benefit from the service. Just sayin’. Rollouts like this are never speedy, so it’s still a little early to pop bottles of champagne, but we’re getting there. Are you excited for this exploration? Who here might be affected by the new markets?